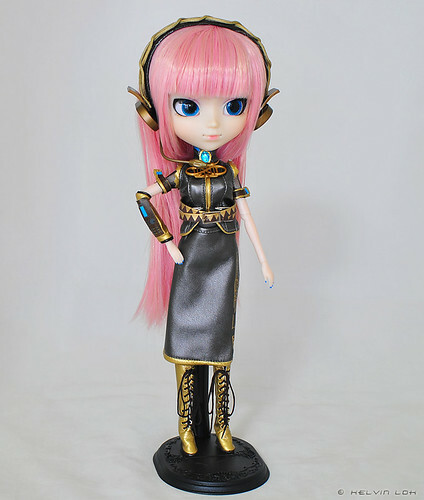 Meet Megurine Luka, my second vocaloid Pullip after Hatsune Miku. She arrived in Nov-2011 but I just started to take her photos this year. Slacker me! 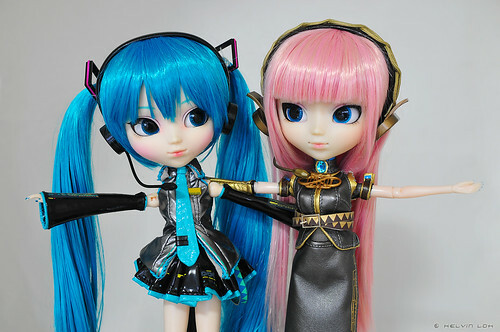 I first saw the vocaloid dolls on display at Doll Carnival 2010. As excited as I was to see Hatsune Miku, I was blown away by Luka's vocaloid outfit! Now that I have her on hand, I must say the final outfit is as good - if not better! - than the prototype I saw that day. Well done to Groove Inc! Her "03" tattoo on her left arm can just barely be seen here. 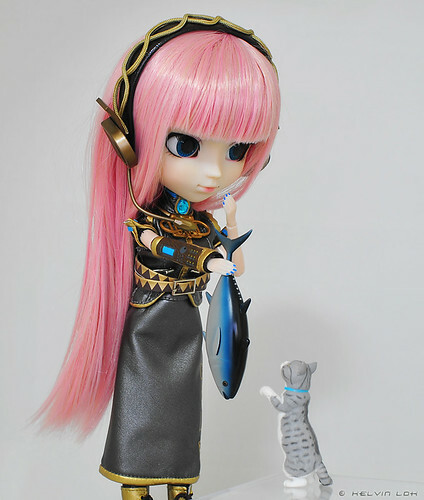 And her hair is definitely more manageable than Pullip Miku's. I actually have one more Pullip vocaloid - Hatsune Miku LOL version bought at Doll Carnival 2011 But I have not even de-boxed her yet. Hopefully I will find time to do so soon and take her photos.